Congratulations to Matthew Lawrence, Indian River High School Boys Volleyball Coach, for being named the All-Class 5 Region A Boys Volleyball Coach of the Year. Coach Lawrence and the Braves recently captured their first ever Class 5 A South Region championship giving the team their first state birth in school history. They finished their season as Class 5 A state runner-up. Coach Lawrence is very proud of his team, he states, “Coaching is easy when you have a team who is dedicated, has amazing work ethic, sportsmanship, and unity as a team. The boys strive to accomplish their goals and are the reason we have had success this year.” While Coach Lawrence highlights his team, he has played a vital role in shaping his players into well-rounded, student-athletes who exemplify the characteristics he acknowledges above. 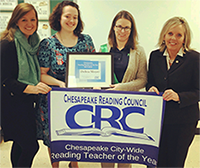 Debra Moyer, English teacher at Great Bridge Middle School, has been selected as the Chesapeake Reading Teacher of the Year. Mrs. Moyer strives for every student to be successful and started this year by promoting literacy with a 40 Book Challenge. She has written a grant to incorporate narrative nonfiction books in her literature circles and continues to grow her classroom library. 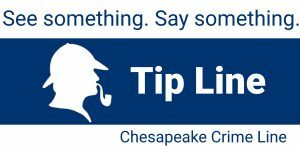 In addition to promoting literacy in her middle school classroom, Mrs. Moyer has been involved with the Tidewater Writing Project, the Creative Writing Club, and the GBM Debate team. She was also a recipient of a CRC Literacy Award and was published in The Journal of the Virginia Writing Project. Mrs. Moyer’s dedication to her students and their success in literacy is remarkable! 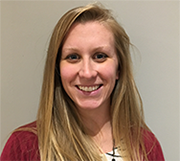 Congratulations to Katie Duke, Great Bridge High School field hockey coach, for being named the All-Class 4 Region A Coach of the Year. Coach Duke and the Lady Wildcats recently captured the Class 4A state title, their second consecutive title. Every year, FIRST LEGO League releases a Challenge, which is based on a real-world scientific topic. Each Challenge has three parts: the Robot Game, the Project, and the Core Values (Inspiration, Teamwork, and Gracious Professionalism). Teams of up to ten children, with at least two adult coaches, participate in the Challenge by programming an autonomous robot to score points on a themed playing field (Robot Game), developing a solution to a problem they have identified (Project), all guided by the FIRST LEGO League Core Values. Good luck to Greenbrier Intermediate’s Greenbrier Panthers, Hugo Owens Middle’s Mustang Bots, and Western Branch Middle’s Bruin Bot Builders I as they advance to the state tournament at James Madison University on December 2 and 3. The school division was recognized once again by the Virginia School Board Association (VSBA) as a 2017 VSBA Certified Green School Division – Platinum Certification. The VSBA Green Schools Challenge is an annual friendly competition designed to encourage implementation of specific environmental policies and practical actions that reduce the carbon emissions generated by both the local school division and the broader community. School divisions can become a certified “Green School Division”, and many of these actions can save local school divisions money. 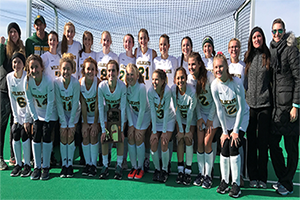 Congratulations to the Great Bridge High School girls field hockey team for collecting their second consecutive state title. Great Bridge finished their season with a 20-2 record. Way to go Lady Wildcats! 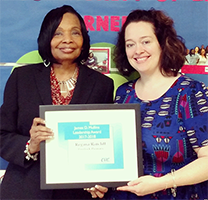 Regina Ratcliff, principal of Portlock Primary, is the recipient of the James D. Mullins Leadership Award which recognizes administrators who show exceptional support of literacy and reading. Mrs. Ratcliff embraces the theme of the Chesapeake Reading Council and believes that giving her students the gift of reading will open up a world of possibilities for them. She has been essential in regaining full accreditation at both Portlock Primary and G. W. Carver Intermediate. 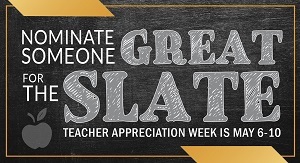 Her knowledge and support of literacy has led to both student and teacher success. Congratulations to Steven Vutsinas, Grassfield High School orchestra teacher, for being selected as the Outstanding Director of the Year from the Virginia String Teachers Association. 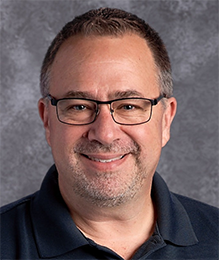 Mr. Vutsinas will be recognized this November at the Virginia Music Educators Association Conference in Hot Springs, VA.
Congratulations to Greenbrier Intermediate School for being selected for the thirteenth year as a Virginia Naturally School by the Commonwealth’s Department of Game and Inland Fisheries. The goal of the school recognition program is to recognize the efforts undertaken by Virginia schools that increase the environmental awareness and stewardship of its students. 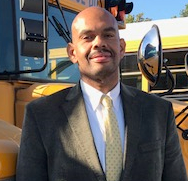 Coordinator of Transportation, Herbert Byrd, was nationally recognized in the October 2017 School Transportation News magazine for his outstanding work with Chesapeake Public Schools. One hundred and twenty-seven student transporters from across North America were acknowledged for being the 2017 up-and-coming transportation professionals whose leadership is setting the industry pace for years to come.